Barbara was born on January 21, 1925 to Grace and George Mackey in San Francisco, California, where she was raised and educated. On April 16, 1944 Barbara married the love of her life, George McGuire. Together they had 5 children. She was a homemaker and a medical lab tech until she and George moved to Idaho in 1988. They were married for 68 years until he succumbed to cancer in 2011. 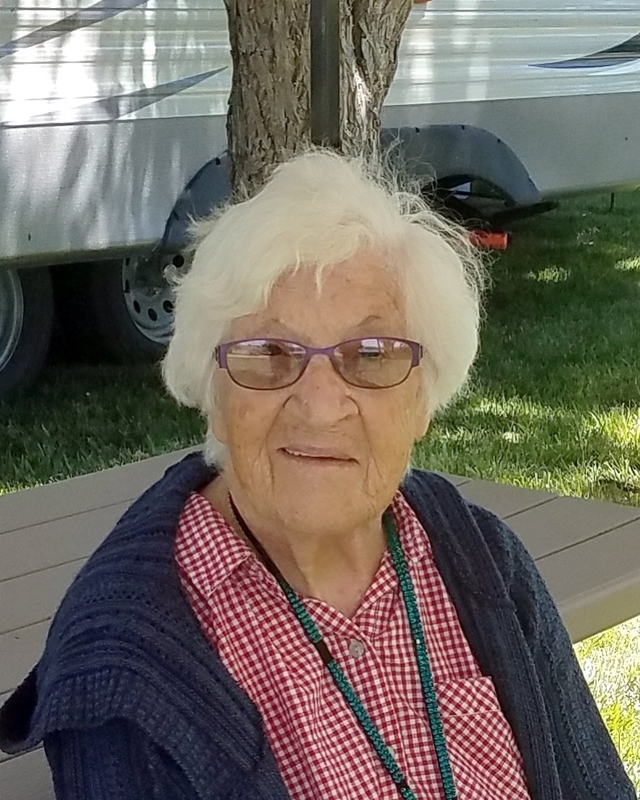 For a time Barbara volunteered as a “Pink Lady” at West Valley Medical Center before retiring to help provide childcare for some of her great-grandchildren. Barbara was an amazing woman, a great wife, mother, grandmother (affectionately known as Noni), a friend and mentor. She was an avid book reader and she loved music of all kinds. She was a huge San Francisco 49ers and Boise State Bronco’s fan, often hosting game days at her home enjoying the company of family and friends. Barbara will be deeply missed by her 5 children, Kris (Don) Blevin of Caldwell, Cary (Barron) McGuire of Santa Clara, CA, Sue (Michael) Smallwood of Caldwell, Timothy (Gail) McGuire of NY, and Gerald McGuire of San Jose, CA; 13 grandchildren; 20 great-grandchildren; 9 great great-grandchildren; and numerous nieces, nephews, and friends. She was preceded in death by her husband, George; her parents; her sister, Jackie; her brothers, Charlie, Robert and Harold; and great-granddaughter, Asiah.